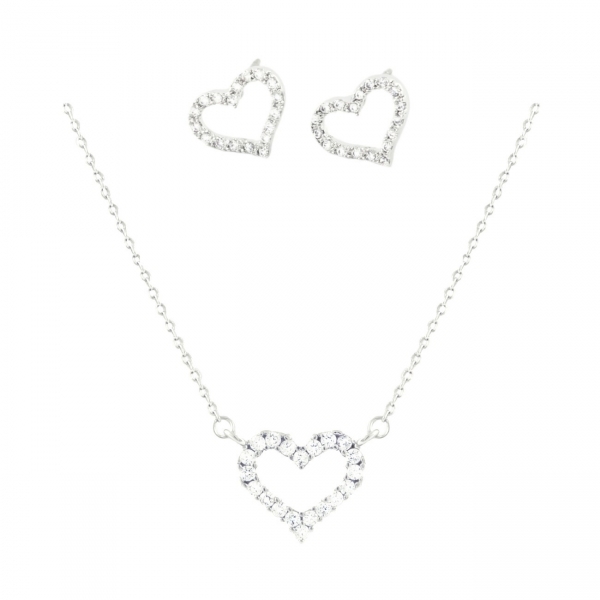 Simple yet delicate sterling silver heart necklace and earrings set paved with sparkly zirconia crystals. You save 15% - this set is €51,90 / $62.28 / £46.71 when purchased separately. 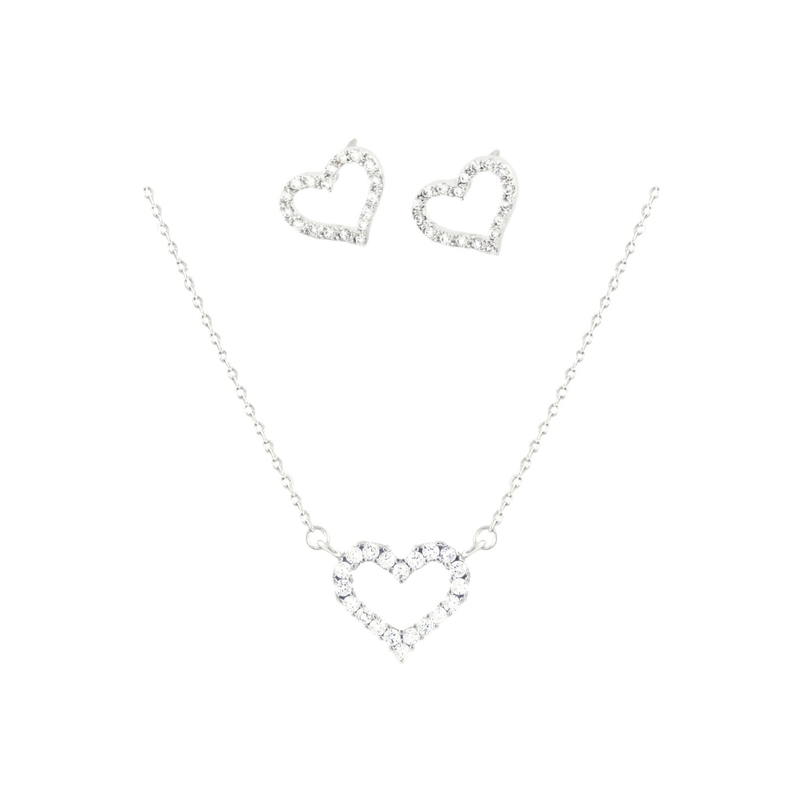 Simple yet delicate heart necklace paved with zirconia crystals. Matching earrings available.